This K&M Elegant Music Stand is made from durable steel and is finished in black. 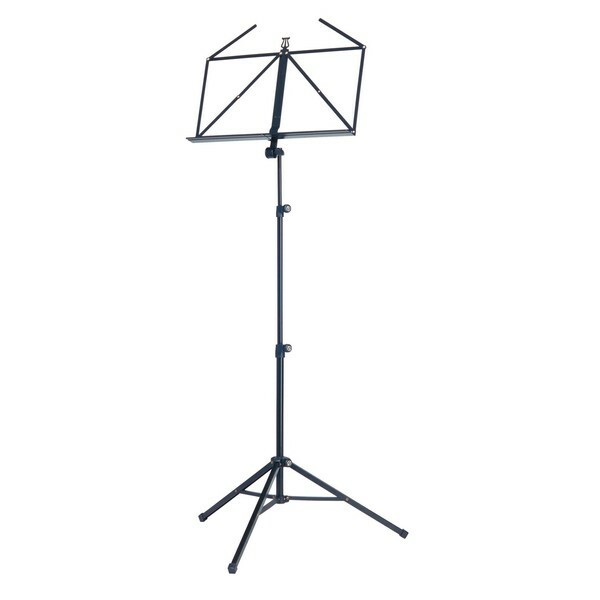 The three-piece folding design is a desirable element for travelling musicians, while the traditionally foldable music desk is great for everyone, keeping sheet music in place throughout your performance. The design features a deep music tray, suitable for small accessories such as pens and pencils, or something of a similar size. Put your trust in the u-profile legs and cross braces as they hold the stand in an upright and sturdy position, while you adjust from 585 to 1,220mm to suit all sizes.